Bottom line up front; It's a comb. I got better ones for my short goatee. I bought the BullDog comb as part of a package deal along with beard shampoo, beard oil and beard balm, and didn't actually realise the box contained the comb until I came home and unpacked it. This comb is shaped more like what I think of as a 'normal' comb, with a pronounced wedge shaped profile. The teeth narrows to a point, but are several millimetres thick at their base. The shape seems to help it untangle long beards, but also makes the comb slightly more awkward to hold in my opinion. I honestly have no idea what sort of wood the comb is made out, but it seems quite strong. 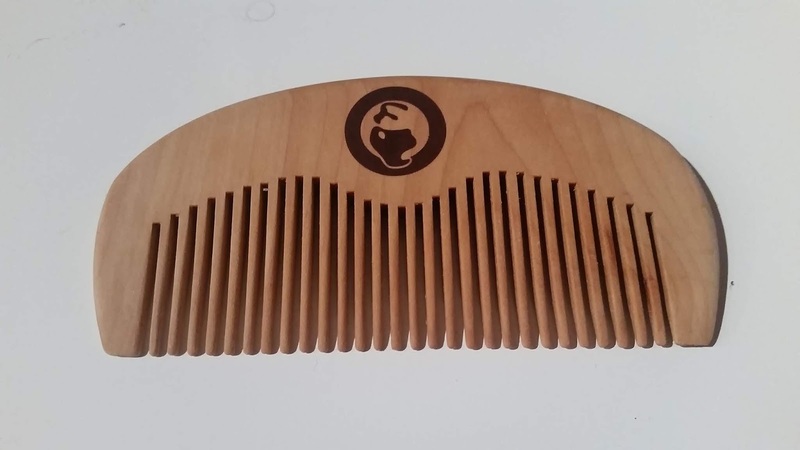 For the most part this beard comb sits in the back, unused. Don't get me wrong, it's not a bad comb... it's just that I got better ones, and the shape of this one don't work as well for me as the one I looked at last week. If I had a longer beard it would probably work better.